Four matches are now official for this week's episode of SmackDown. The Miz vs. Cesaro has been announced for Tuesday's show, which is taking place at INTRUST Bank Arena in Wichita, Kansas. WWE is advertising that Shane McMahon will be in Miz's corner, while Sheamus will be in Cesaro's corner. Miz & Shane are set to challenge for Cesaro & Sheamus' SmackDown Tag Team titles at the Royal Rumble next Sunday (January 27). 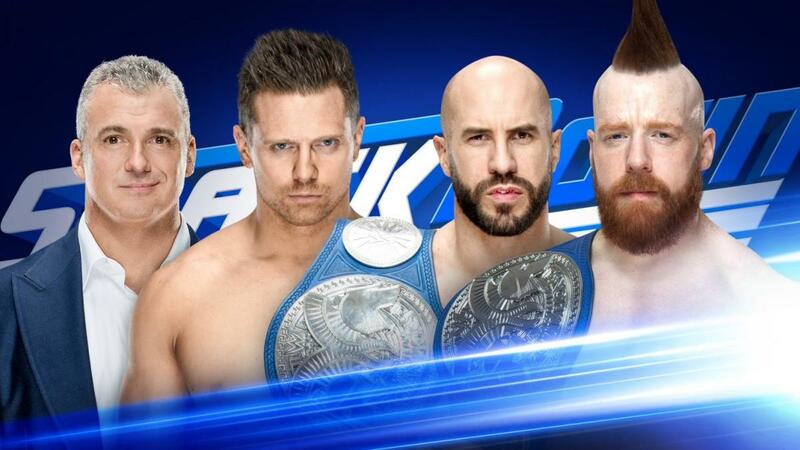 The Miz defeated Sheamus in the main event of last week's SmackDown. The finish came when Sheamus was distracted and Miz rolled him up for the pin. Cesaro had tried to interfere, and Shane put him through a table that had a birthday cake on it. Miz vs. Sheamus was set up as part of an angle where Cesaro and Sheamus interrupted Miz and Shane while Miz was throwing Shane "The Best Birthday Bash in the World.” After Miz won, the show ended with Shane hitting a coast-to-coast dropkick and smashing cake into Sheamus' face. Rey vs. Andrade in a two-out-of-three falls match, Samoa Joe vs. Mustafa Ali, and Naomi vs. Mandy Rose are the other matches that have been announced for Tuesday's SmackDown. Vince McMahon moderating a face-to-face segment with WWE Champion Daniel Bryan and AJ Styles ahead of their title match at the Royal Rumble is also set for the show.